Wait—how does it work? 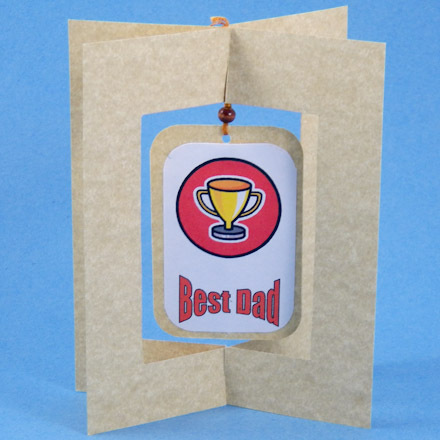 Dad will be impressed by this handmade novelty card that stands up on its own, showing off a dangling piece with images and a Father’s Day message. Father’s Day crafts from kids are the things Dad loves most—he’ll put this homemade card on his desk so he can look at it every day. 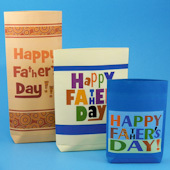 Print the Father's Day Danglers pattern on white paper or cardstock. Make Father's Day card following the detailed instructions in the Dangler Cards tutorial, steps 2 thru 5 and step 7. Get started with the prep work below. Prep work: Cut two 4¼″ by 5½″ rectangles of tan cardstock—or use any color cardstock you like. Cut a 2" by 3" rectangle from the same cardstock as the base for your dangler. The cardstock cut away to make the card opening in Step 2 can be trimmed down to make the dangler. 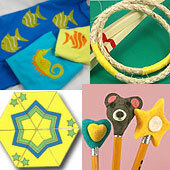 Print the Father's Day Danglers pattern on white paper or cardstock. Cut out two dangler rectangles from the Father's Day Danglers pattern. Glue the rectangles on either side of the 2" by 3" dangler. To assemble card: Follow the instructions in the Dangler Cards tutorial, steps 2 thru 5 and step 7. Use brown thread to hang the dangler and use an 1/8" hole punch or a sewing needle to punch a small hole for the thread in the top of the dangler. The Father's Day Danglers pattern features a variety of colorful Father's Day awards and messages that are sized for the 2" by 3" rectangular dangler. Did you make a card just like this or throw in your own ideas? This printable pattern includes images and messages for Father's Day that are sized for the 2" by 3" rectangular dangler. Just print, cut and glue. 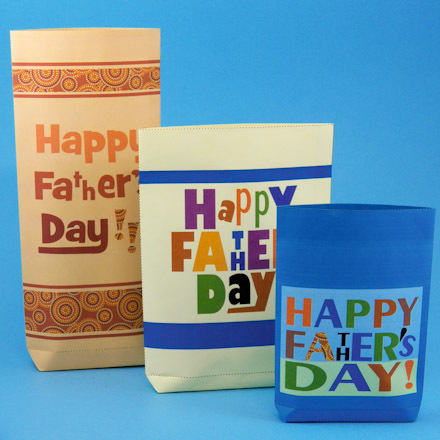 Tip: Aunt Annie has several crafts to make for Dad—check them out!